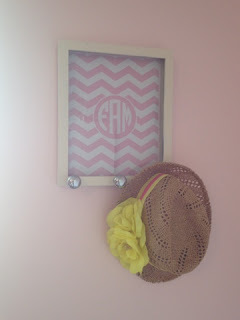 Ansley Designs: Cute DIY Nursery Accessories! 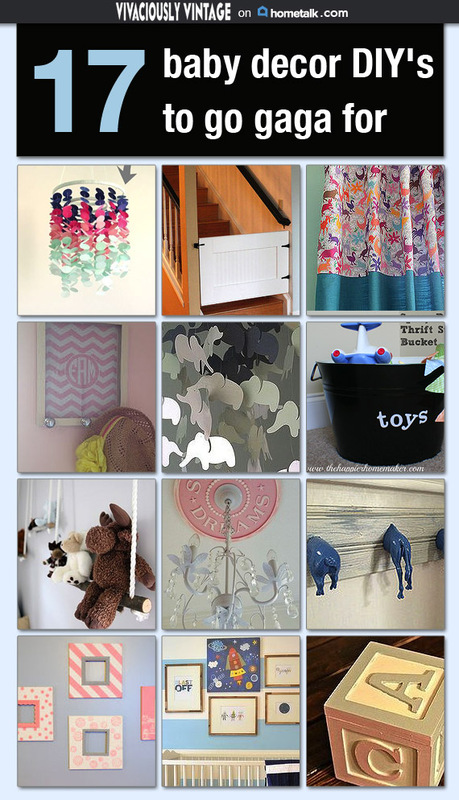 Hometalk loved my DIY Ombre Mobile so much that I was asked to curate a board of nursery decor! I'm thrilled they like the mobile and enlisted my help! It was the perfect task because accessorizing a space is always my downfall. 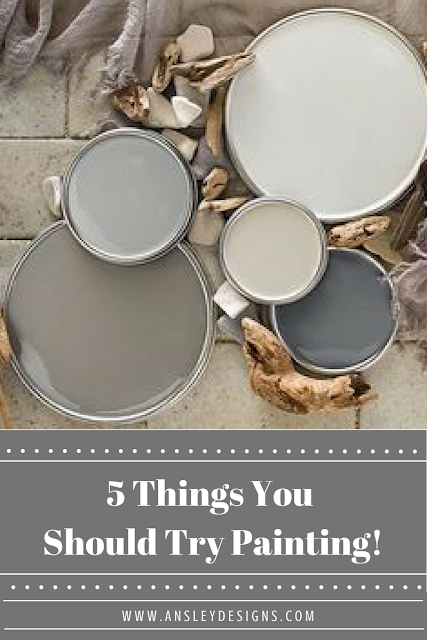 It's easy for me to slap a coat of paint on the wall or do some project with a larger impact, but I always struggle with polishing off a space with small details. Reagan's nursery is no exception! 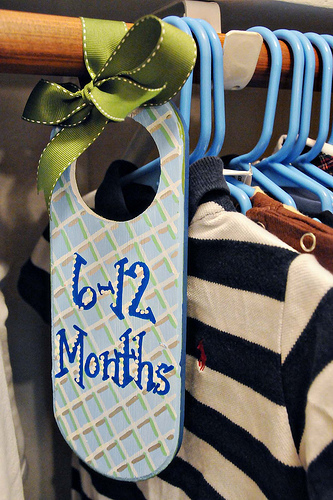 So to help us all out, I've compiled a list of 17 cute DIY nursery projects! First up is a way cute baby gate by The Kim Six Fix! Custom ones are so much nicer looking than the plastic or metal store bought versions! Something like this is definitely on my project list. I'll need it once little chunk starts crawling! Not to mention, it'd be great to keep the dogs upstairs if I so choose! I love the shaker style simplicity of hers, but I think I'd leave the bead board off of mine. Embrace My Space completely customized her curtains by adding some fabric to the top. Love this thrifty option! You can buy cheaper short curtains and add some fabric that coordinates with your nursery to the top or bottom! Turns shorter curtains into floor to ceiling drapes! 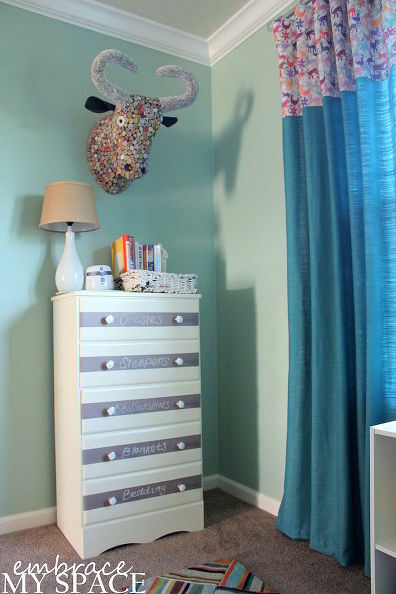 She enhanced the custom look of the room by using the same fabric to accent other areas of her nursery! 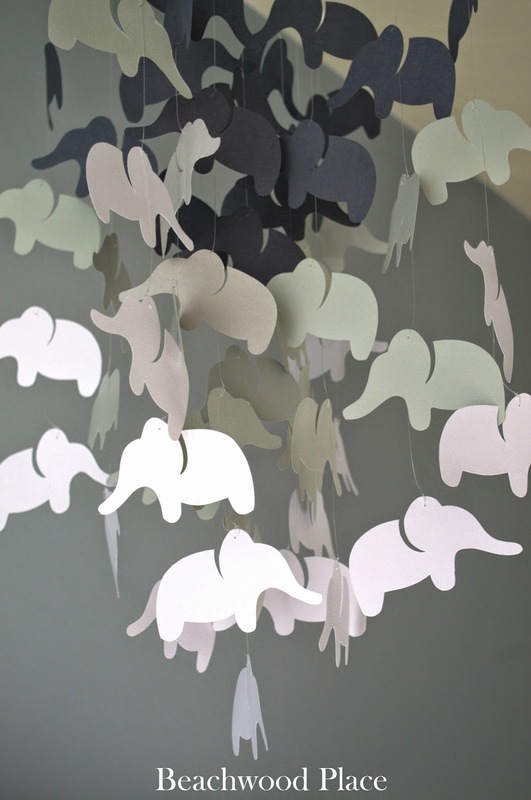 This elephant mobile is one after my own heart! 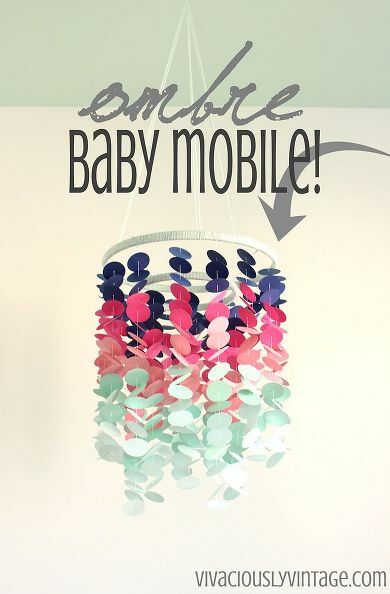 It's so cute and reminiscent of the popular style of DIY mobiles, like the one I made Reagan! Beachwood Place said that she ordered it from Etsy, but I think with an elephant shaped punch or Silhouette machine, it would be crazy simple to recreate! This, of course, is my sweet Reagan's ombre mobile! I'm still smitten with it. When she's in her crib during the day while I'm putting away her laundry, etc...I just walk over and blow on it gently. It'll rotate around and sway in the wind. She always gets a kick out it! Visit here for more information on how to DIY your own! A super simple DIY ceiling medallion. Seems intimidating, but all you have to do is order the plain version and paint it how you like! 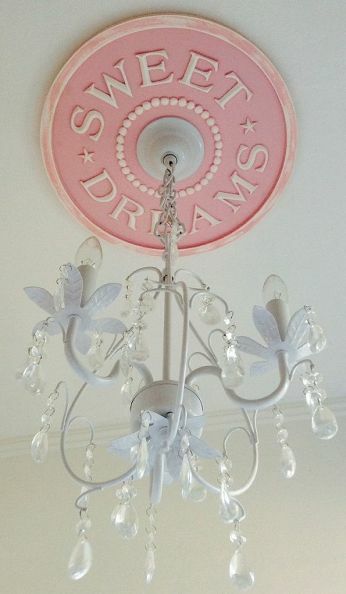 So sweet, I'd get one if we had a non ick light fixture in her room! Totally worth $35! They have other sayings, too! How unique is this DIY flower petal lantern? I'm loving hanging decor right now! Drop in some battery powered LED lights and this would be perfect for a little night light or even spring time on your porch! I'd grown to think that stuffed animals as decor in children's room is tacky. Insert foot in mouth. 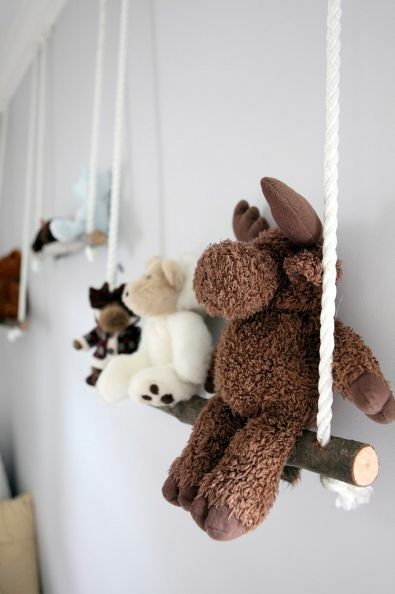 These DIY toy swings are so adorable and to think she just used sticks! Stephanie at Garden Therapy is a genius! Pure genius! What room doesn't need storage? Especially a nursery! 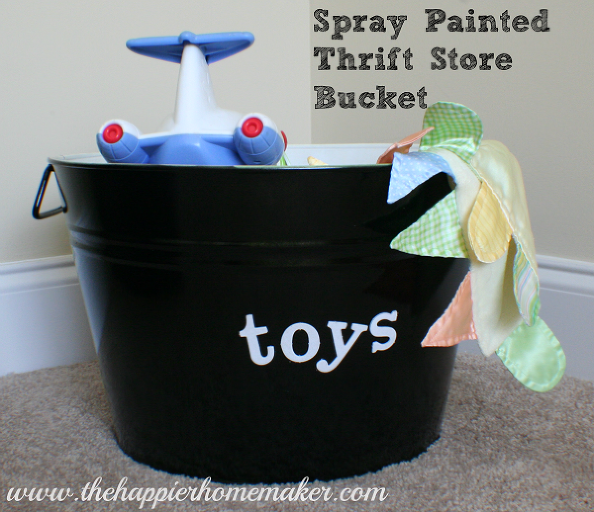 Teach those sweet things to pick up after themselves early with this DIY painted bucket! 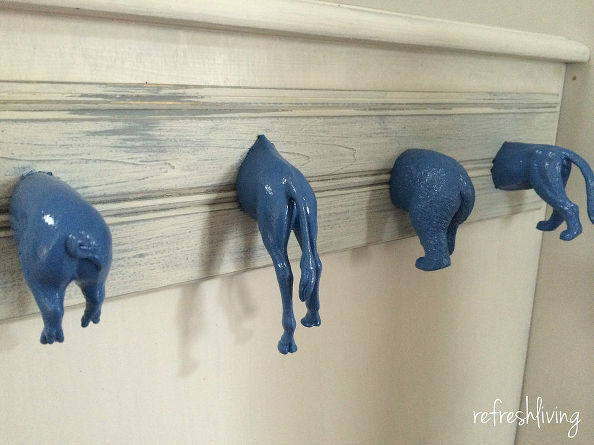 What a simple and cute DIY from the Happier Homemaker! 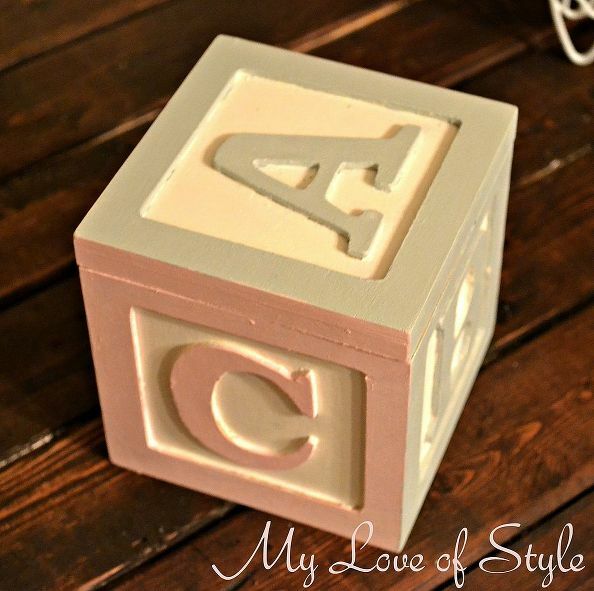 This little ABC box can be used to store tiny things, like sweet little hair bows. This monogram chevron peg rack would make such a sweet baby shower gift, or you can leave the pegs off and just use it as art! 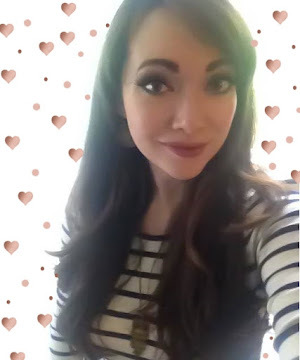 She even provides the free printable on her blog, 2IY! Don't forget to organize your babe's closet! Organizing clothes by size will help ensure that no cute little outfits remain unworn! Unless you're like me and bought a bajillion cute outfits at Goodwill for only 99 cents each. Then there's literally not enough days for each outfit! ;) Blissfully Domestic did a mind blowing paint job on her DIY organizers! Every room needs wall art! Babies especially need eye candy to help with their development! 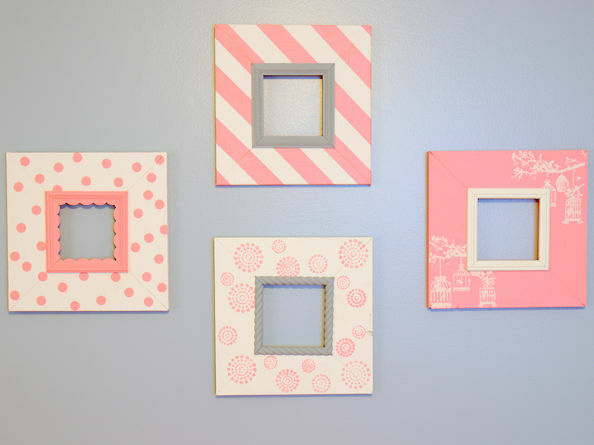 I love the pink DIY frames (she actually made them!) 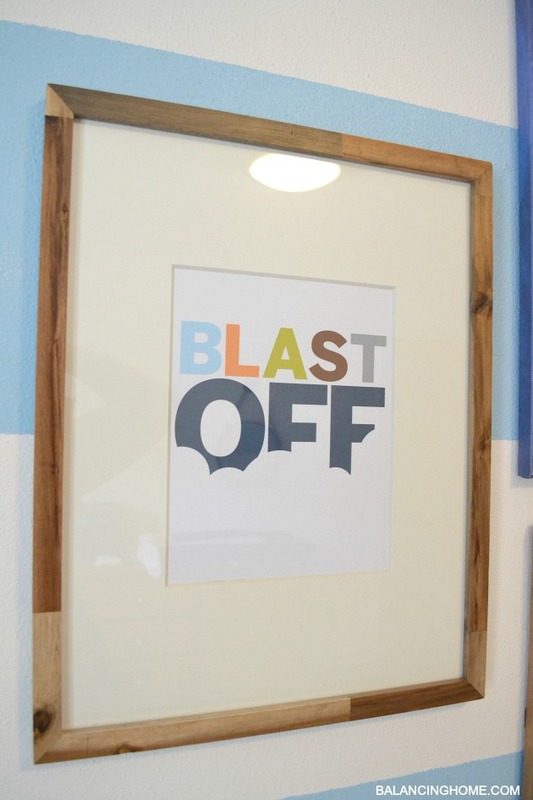 and the free printable "Blast Off" art is so stinking cute I could die! Banners are everywhere, and this one is perfection! I haven't seen one that is 3D like hers. It just gives it that extra something and probably makes it more interesting for baby to look at, too! I love the 2x4 wood growth charts that are everywhere. I love string art, too. This lady at The DIY Show was smart enough to put them together! 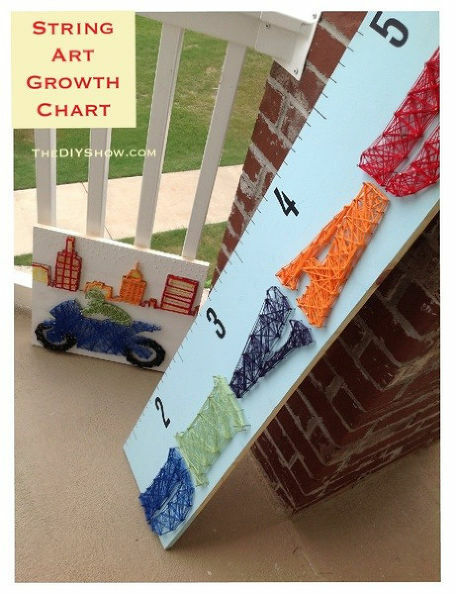 Super cute string art growth chart! Customize with your sweetie's name for a unique keep sake! That's 17 right? Whew. 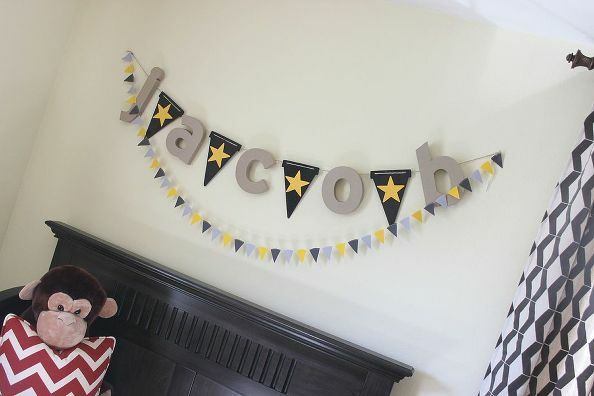 It was so fun finding DIY nursery accessories for Hometalk! Especially, since I wasn't just focusing on girl items! If you subscribe to Hometalk be on the look out for my board feature!